The Aerospace Industry is known for a lot of rules and requirements which have to be met. Of course safety always comes first but being competitive in this market is important as well. One way to reduce costs is to minimize the amount of prototypes and physical testing. This is where simulation solutions such as Femap come in handy. In our Femap in Aerospace series we’d like to highlight some Femap benefits according to companies who actually use it! We therefore share the case study of Aquila Engineering with you. Aquila Engineering is an Australian based engineering firm specialized in avionics and structures engineering. Their work area covers finite element modeling, fatigue and vibration assessments, 3D design and manufacturing. With FEA playing such a critical role in their work, Aquila Engineering needed a FEA solution compatible with their legacy models. Other requirements included affordability, an intuitive interface, training and product support from someone who knew the product well and was available by phone. By choosing Femap with NX Nastran Aquila Engineering was able to improve the quality of their engineering work and reduce the number of prototyping and testing. Interested in the full case-study? Please click the link below! Also if you feel like Femap could be of use to you or your company, or if you have any other questions, please contact us! 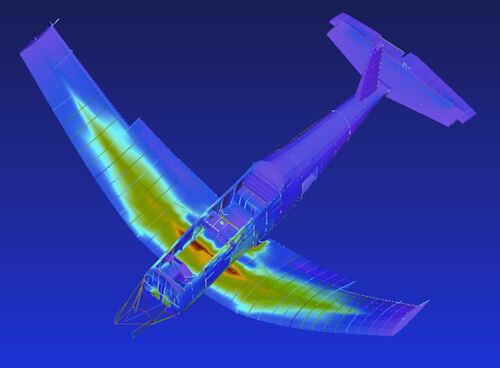 Like to receive notifications of published posts in our Femap in Aerospace series? Follow us on Twitter, LinkedIn or Facebook! Read full case study Visit our Femap page Contact us!